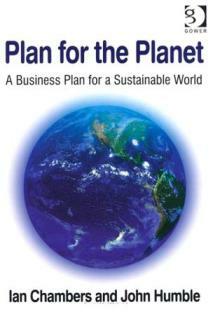 Plan for the Planet looks at the Global threats to the planet and advocates the use of an interconnective plan to address these issues – wow! The attention to detail that the authors have taken in describing the mechanism of the plan and then how government, business and people can take part in the plan is certainly an interesting approach and theoretically (I have no doubt) the way in which the threats to the planet can be solved. The case studies within the paperback detailing countries and organisations approaches to counter some of the threats provide insightful examples of where the advocated methodology has been used successfully. I would recommend this book to anyone who wishes to understand the global threats we are facing particularly those with a systemic outlook. I found the illustrations throughout the book particularly useful in elucidating the barrage of explanation and statistics. This book certainly should be read front to back by those who operate at the macro level. Those who are perhaps work at a more of a micro level will find the statistics useful for introduction into say an environmental management or a sustainability system in order to gain commitment for “doing their bit” from stakeholders in organisations and companies. If we as a planet do become truly interconnected I am sure that this book will become the way in which population growth, climate change, energy, water and food, biodiversity, poverty, global heath, education, conflict and finance (all dealt with in the book) are dealt with from a sustainable perspective.